The author will deliver a talk titled “Decolonizing the Church: The Life, Legacy, and Possible Canonization of Nicholas Black Elk” at Cabrini University, Radnor, on Tuesday, April 23 at 12:30 p.m. in the Mansion Dining Room. The talk is open to the public but registration is required – register here. Servant of God Nicholas Black Elk (1867-1950) is an example of discipleship for our times, though he lived the faith in a completely different context. 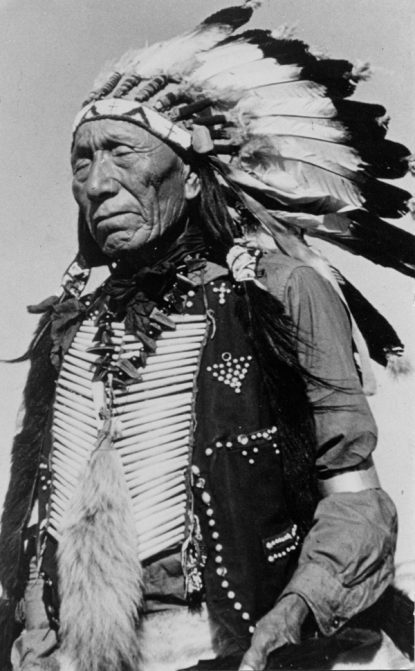 Black Elk was born into the Oglala Lakota people and grew up hunting buffalo on the Northern Plains. He fought at the battles of Little Bighorn and Wounded Knee. As a young man, he was an important medicine man, using the power of song to heal the sick. 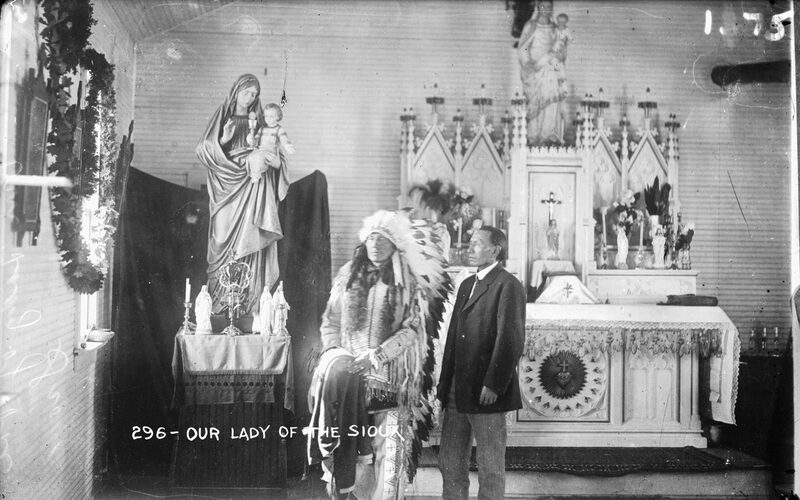 In 1904, Black Elk entered the Catholic Church and embraced a different way of healing. Utilizing his abilities to memorize Scripture and speak persuasively, he became a missionary disciple. He served as a catechist, which in his community functioned much like a permanent deacon does today. 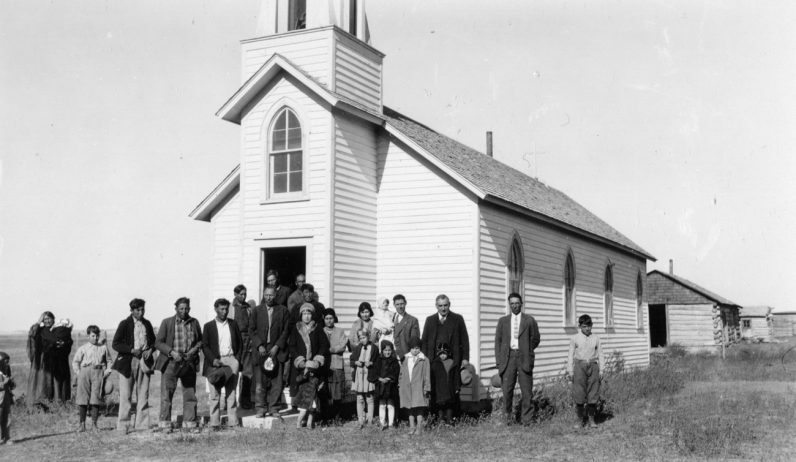 Black Elk went on missions to neighboring reservations and spoke to Catholic groups throughout the country, bringing more than 400 people into the church, including 113 that called him their godfather. Like many saintly people, Black Elk suffered greatly. He experienced the deaths of two wives and some of his children, endured debilitating illness, severe injury and partial blindness. In times of tragedy, it can feel like one’s world is collapsing. Faith can dissipate, leaving emptiness in its wake. Yet Black Elk bore these trials with hope and persevered in his witness. Another layer of suffering that makes Black Elk’s discipleship and possible sainthood stand out: his world did collapse. The buffalo were killed. The old way of life was destroyed. The Lakota people were imprisoned on reservations and forcibly reprogrammed. It is here that Black Elk’s discipleship becomes especially relevant for us. Albeit at a different point in history, we face the possibility of the world collapsing every day. Our world is filled with growing warnings. Environmental devastation and climate change expand unchecked. Wars continue seemingly without end. The nuclear arsenals of the Cold War are still there, tempting those lost in ideologies of hate. For many, possible collapse is paralyzing. Our patterns of destruction seem impervious to change. We despair that nothing can be done, that our actions don’t matter. Worst of all is what Plenty Coups described: the pain of a broken heart — that God has abandoned us and there is no future. That’s why Black Elk’s witness is important. Jesus was not just a good teacher, but the key teacher. Lakota people call Jesus Wanikiya, “He Who Makes Live.” For Black Elk, Jesus and his new life were the answer to a collapsing world: Only he can fully heal the Earth, bring back the dead and explain how to make sense of the newcomers. In a collapsing world, Black Elk learned to live a vibrant life of hope. With the skill of an artist, he wove seemingly different strands into one beautiful life: He preached the Gospel, worked to save the old ways and built bridges across artificial divisions that separate us into warring tribes. Black Elk once healed the sick with sacred songs; with his baptism he became a missionary disciple of life, radiating the healing love of Wanikiya into a broken world. Black Elk can help us find our way out of our tendency to despair. His witness can help us re-learn that the core of our faith is hope in a God that has power over all the destructive forces that threaten our world, that in a world under threat of collapse we are to be missionary disciples who live the message of Christ: “Behold, I make all things new” (Rev 21:5).